For anyone paying attention, it's no secret there's a lot of weird stuff going on in the oceans right now. We've got a monster El Niño looming in the Pacific. Ocean acidification is prompting handwringing among oyster lovers. Migrating fish populations have caused tensions between countries over fishing rights. 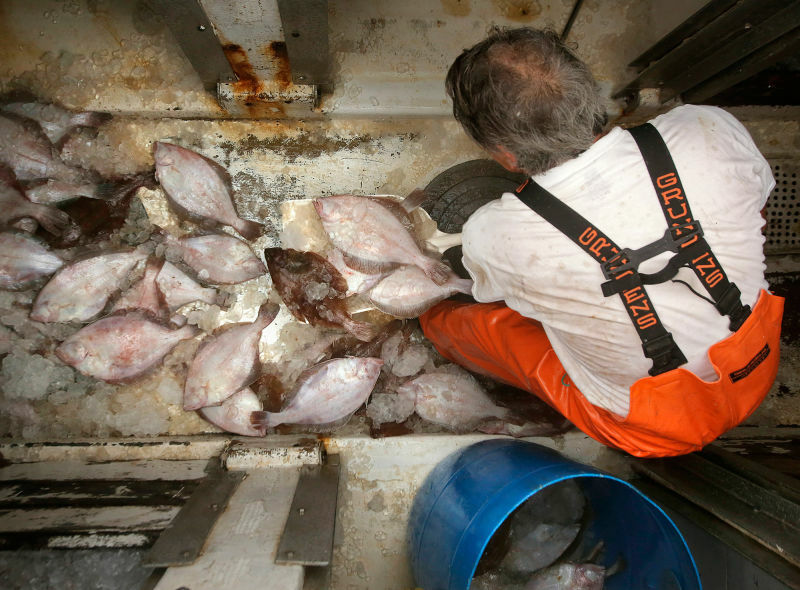 And fishermen say they're seeing unusual patterns in fish stocks they haven't seen before. "This, as far as we know, is the first global-scale study that documents the actual productivity of fish stocks is in decline," says lead author Gregory L. Britten, a doctoral student at the University of California, Irvine. Britten and some fellow researchers looked at data from a global database of 262 commercial fish stocks in dozens of large marine ecosystems across the globe. They say they've identified a pattern of decline in juvenile fish (young fish that have not yet reached reproductive age) that is closely tied to a decline in the amount of phytoplankton, or microalgae, in the water. "We think it is a lack of food availability for these small fish," says Britten. "When fish are young, their primary food is phytoplankton and microscopic animals. If they don't find food in a matter of days, they can die." "When you averaged globally, there was a decline," says Britten. "Decline in phytoplankton was a factor in all species. It was a consistent variable." And it's directly linked to climate change: Change in ocean temperature affects the phytoplankton population, which is impacting fish stocks, he says. Food sources for fish in their larval stage were also a focus of research published earlier this summer by Rebecca Asch, now a postdoctoral research associate at Princeton University. Asch studied data from 1951 to 2008 on 43 species of fish collected off the Southern California coast and found that many fish have changed the season when they spawn. When fish spawned too early or too late in the season, there can be less plankton available to them, shrinking their chance of survival. She calls it a "mismatch" between when the fish spawn and when seasonal plankton blooms. Jon Hare is the oceanography branch chief for NOAA Fisheries' Northeast Fisheries Science Center and a lead researcher on the agency's assessment. He says they looked at 82 fish and invertebrate species in the Northeast. About half of the species, including Atlantic cod, were determined to be negatively impacted by climate change in the Northeast U.S. Approximately 20 percent of the species are likely to be positively impacted -- like the Atlantic croaker. The remainder species were considered neutral. Similar assessments are underway in the California Current and the Bering Sea, and eventually in all of the nation's large marine ecosystems. "This is where the idea of ecosystem-based management comes in. It's not only fishing that is impacting these resources," says Hare. "We need to take a more holistic view of these resources and include that in our management." "It's no longer just pull back on fishing and watch the stock rebound. It's also a question of monitoring and understanding the ability of stocks to rebound, and that's what we demonstrated in this study. The rebound potential is affected as well," says Britten.